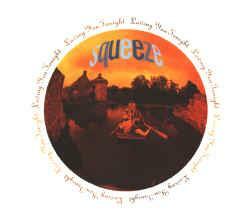 "Loving You Tonight" is the fourth single released from Squeeze's tenth album, Some Fantastic Place. Lead vocals on the song are by Paul Carrack. The only other time Carrack sang lead on a Squeeze track was in 1981, on the better-known "Tempted." Squeeze also re-recorded the song for their 2010 CD Spot the Difference. For that version, Squeeze member Glenn Tilbrook sang lead vocal. The singles listings below all refer to the Carrack-sung version from 1993.